The holiday season is rarely quite as smooth as the Hallmark Channel would have you think. All those movies filled with scenes of softly falling snow as a family snuggles up by a warm fire next to a tastefully decorated tree with pristinely wrapped gifts peeking out from beneath it. How about a cold, slushy mush outside with a frazzled momma searching high and low for the scissors to get those gifts wrapped while also trying to keep the children and the cat from knocking over the Christmas tree on top of that strange smell of something that’s slightly overbaked that reminds you there are cookies in the oven. Does that sound more familiar? Well, I’ve yet to find a printable that keeps the cat out of the Christmas tree, but I’m so happy to share with you these darling printables that are now available in our Sweet Life Planner Club. From meal planners to gift guides to schedules – there are so many goodies available to make your holidays that much more jolly! One of the quickest things to get out of control during the holidays is the budget. There are gifts to buy, more mouths to feed, broken decorations needing to be replaced, travel expenses – you name it, it probably costs money. 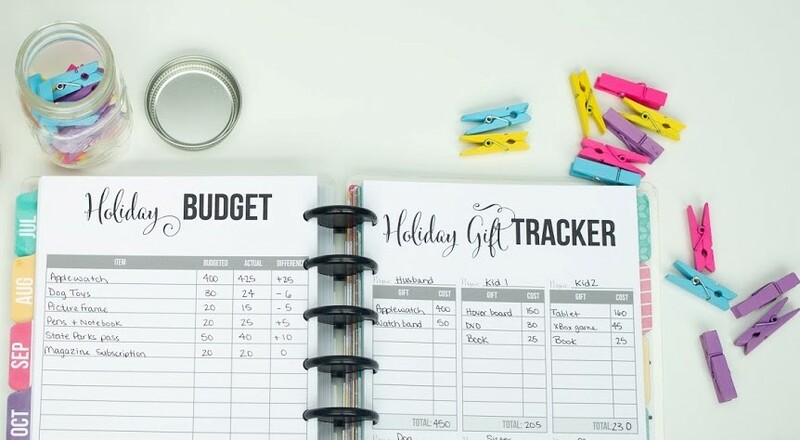 That’s why we’ve created a simple holiday budget tracker to help you know how much you’re spending and keep those extraneous expenses under control. This printable is simply laid out with columns to list the item or activity, the projected and actual costs, and how close it was to the budgeted cost. Just writing down what you’re spending can ease that feeling where you know you’re spending more money than usual but you aren’t sure how much and on what. One of the most expensive things at Christmas time tends to be the gifts. And that can be extra hard for girls like me who are gift givers. I LOVE giving gifts, and I love finding that perfect something that will be exactly what will make my loved one’s day! My family also tends to give more than one gift to each other, and I have found myself making my own roughly sketched pages just like the one pictured above to track what I’m giving to whom. Those seem to always get lost, and I end up making a second and a third. 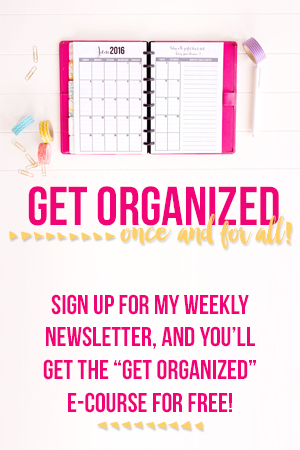 But with this one, you can slip it right into your planner where it won’t get lost and you can refer back to it at any time! 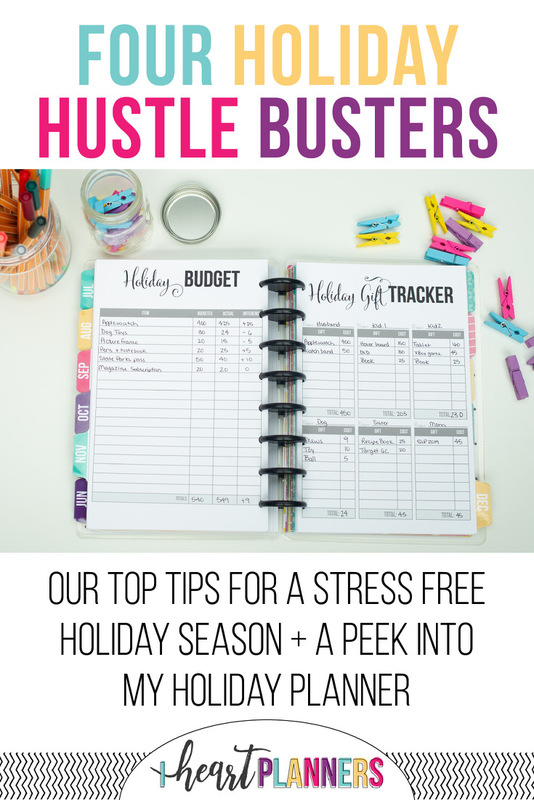 In the spirit of gift giving I’m giving you a FREE download of this Holiday Gift Tracker! If gift giving is my favorite part of Christmas, food is the second!! Turkey and noodles and mounds of mashed potatoes! This printable helps you keep track of what can quickly become a mammoth meal plan. 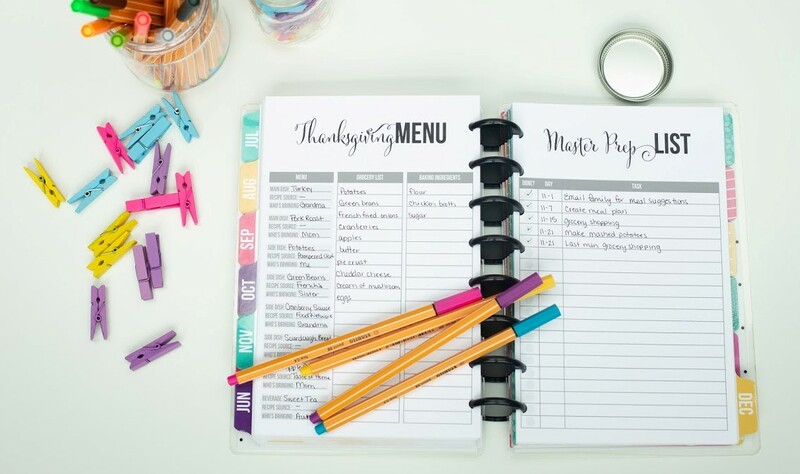 With a special place for where you got each recipe so you won’t lose it and a column for a grocery list, this is the perfect page for all those holiday bakers out there! No matter how many specific pages you have, there always seem to be a few things that don’t fit into a category. Changing the sheets on the bed where your in-laws will be sleeping is important, but you don’t really want to put that on your master calendar for December. This page is designed to keep track of all those odd jobs that need to be done during the holidays. Just a little bit of time and preparation now can really set the tone for the holiday season and get you started off on the right foot. 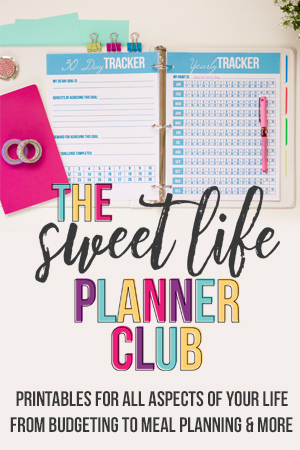 If you want the complete holiday planning kit shown here (plus the kit in various sizes and styles), join us in the Sweet Life Planner Club. 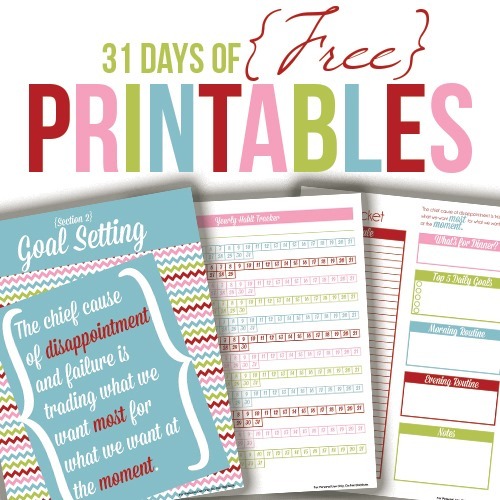 Also, don’t forget to download your free gift tracker printable! This is amazing! Why have I never thought of a gift tracker, that’s such a cool idea.